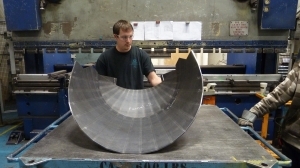 VeriForm has been rolling plate metal for over 19 years and has been providing top tier services from the beginning. 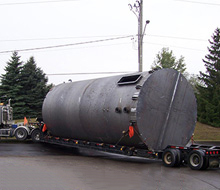 VeriForm is the go-to source for large plate metal rolling projects, as we have the equipment and expertise necessary to deliver a quality product of that size. 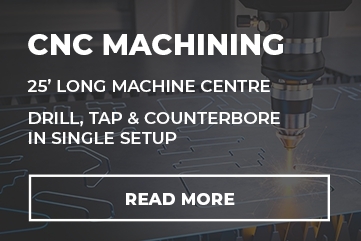 Our team of highly trained professionals use only the most precise equipment to ensure that your rolled plate metal parts are perfectly in spec. Ability to Add Inline Operations; Punching, Piercing, Folding, Bending, Etc. 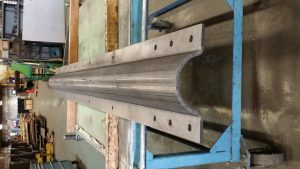 20 foot long part that looks rolled but in fact was step formed on a brake press at VeriForm. 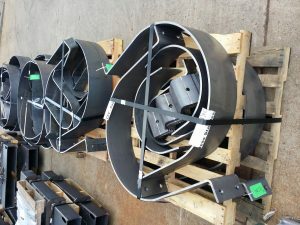 This is a communication tower stiffening clamp to help in high ice conditions to reinforce older towers. 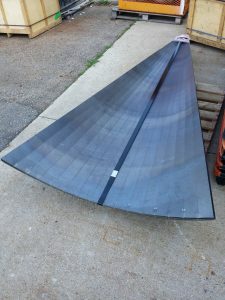 Part was made from 3/8 inch structural plate. 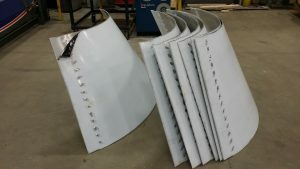 Following are 3/16 inch thick aluminium light shades rolled for an American casino where the sections are in quarters and bolted together for an aesthetic effect. 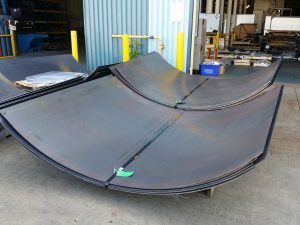 This photo shows a job from half inch steel plate cut and rolled and also formed to make clamping systems for large underground systems for a government installation in Toronto. The following photo is showing large 0.25 inch thick steel panels rolled with windows for access holes. 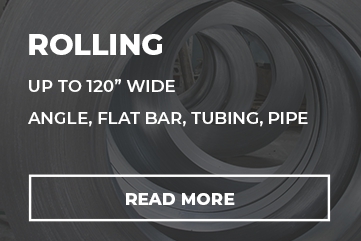 Want to Learn More About Our Plate Rolling Services? 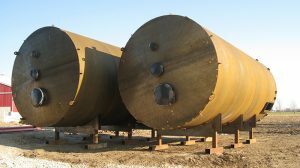 We are the industry’s leaders in large plate rolling projects. 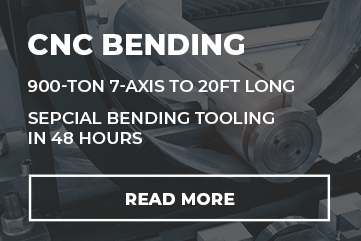 With our years of experience, in-house experts, and high precision equipment, you can be confident that your project will be on spec, regardless of size.